Brewery’s Description: This beer has a white, smooth and very compact head. Its pale amber colour is very characteristic revealing a distinctive maltiness. It has a rich aroma with a unique combination of aromatic hops, spices and the typical bouquet of fermentation – very fruity. Secondary fermentation in the bottle gives it a unique aroma due to the presence of yeast. St-Feuillien Triple has a very strong and exceptionally lingering taste thanks to its density and its long storage period. Whether served as a refreshing aperitif in summer or savoured during the winter months, the Triple is a connoisseur’s beer par excellence. Food Pairings: Included in video review. 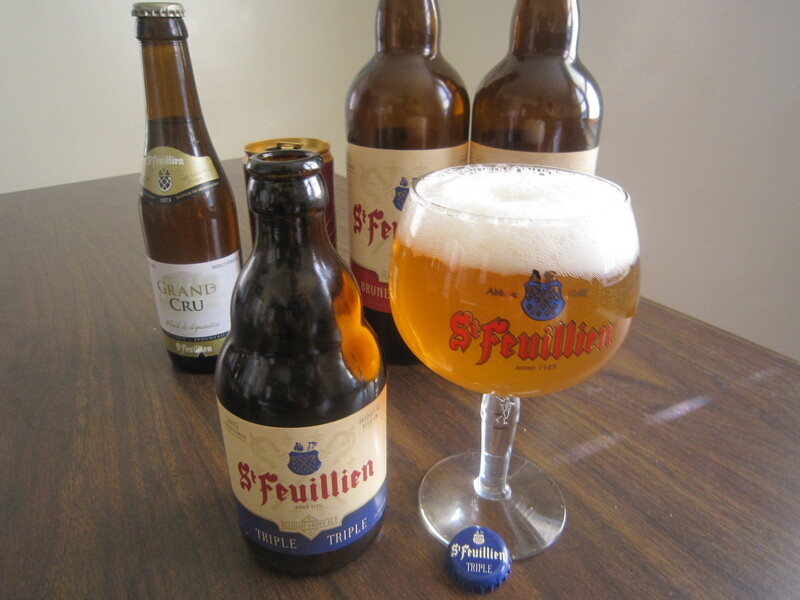 This entry was posted in Beer Reviews and tagged Artisanal Imports, beer review, Belgian Tripel, craft beer, St. Feuillien, St. Feuillien Triple. Bookmark the permalink.